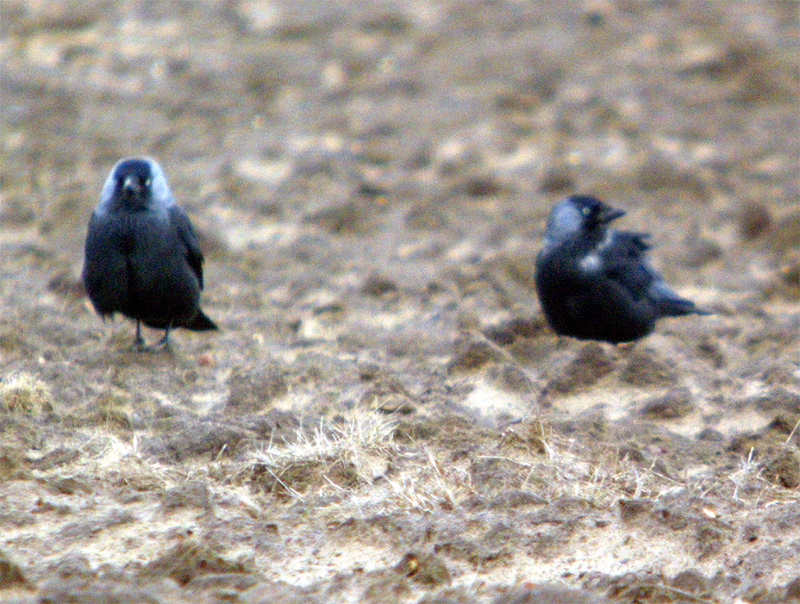 A big flock of Jackdaws that contained several contenders for Nordic types, one really stood out with an almost white collar, accompanied by another bird in the video that lacked any obvious collar but had a very pale head. Other birds present looked more like spermologus intergrades with silver side collar patches. Couldn’t get any decent stills, and flock was very flighty, dispersing after I got a short bit of video.